This entry was posted in Open Source Blog and tagged Announcements, Open source, peer bonus program on October 3, 2017 by Josh Simmons. The new year is off to an excellent start as we wrap up the 7th year of Google Code-in, ramp up for the 13th year of Google Summer of Code, and return from connecting with our compatriots in the open source community down under at Linux.conf.au. Next up? We’re headed to FOSDEM, Europe’s famed non-commercial and volunteer-organized open source conference. 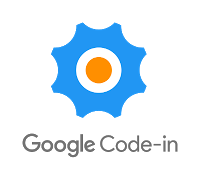 FOSDEM logo licensed under CC BY. FOSDEM is hosted in Brussels on the Université libre de Bruxelles campus and runs the weekend of February 4-5. It’s a unique event in the spirit of the free and open source software and is free to the public. This year they are expecting 8,000+ attendees. We’re looking forward to talking face-to-face with some of the thousands of former students, mentors and organization administrators who have participated in our student programs. A few of them will even be giving talks about their recent Google Summer of Code experience. This entry was posted in Open Source Blog and tagged conference, Events, FOSDEM, gsoc, Open source, student programs, students on February 1, 2017 by Josh Simmons. This entry was posted in Official Google Blog and tagged Education on October 10, 2016 by Josh Simmons. Today marks the start of coding for the 12th annual Google Summer of Code. 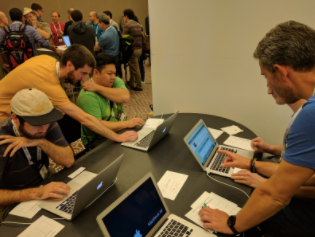 With the community bonding period complete, about 1,200 students now begin 12 weeks of writing code for 178 different open source organizations. This entry was posted in Open Source Blog and tagged gsoc, Open source on May 23, 2016 by Josh Simmons. 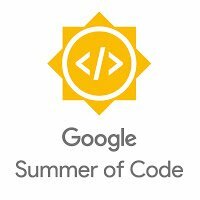 We share statistics from Google Summer of Code (GSoC) every year — now that 2016 is chugging along we’ve got some exciting numbers to share! 1,202 students from all over the globe are currently in the community bonding period, a time where participants learn more about the organization they will be contributing to before coding officially begins on May 23. This includes becoming familiar with the community practices and processes, setting up a development environment, or contributing small (or large) patches and bug fixes. This entry was posted in Open Source Blog and tagged gsoc, Open source, statistics on May 23, 2016 by Josh Simmons. This entry was posted in Open Source Blog and tagged debugging, Open source, open source release, Performance, releases on May 3, 2016 by Josh Simmons. This entry was posted in Open Source Blog and tagged gsoc, Open source on April 22, 2016 by Josh Simmons.